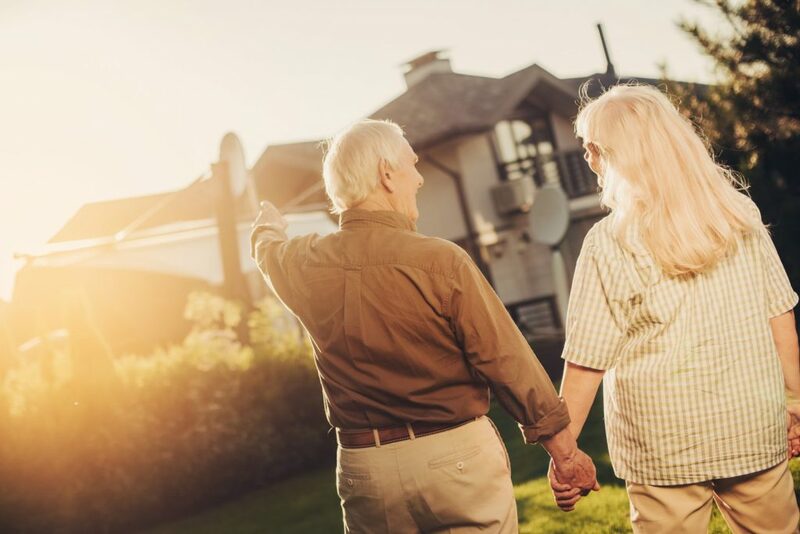 As people get older and find that they have occupied the same home for many years, it’s comforting for them to keep on living in that sane home – even when it may not be perfect or ideal for their needs and lifestyle. There are so many things in life that require our attention, from our earliest recollection onward to the present. As people have raised families, devoted much of their adult lives to their careers or professions, dealt with personal crises and setbacks, celebrated triumphs, and survived life’s many other challenges, they have made it to where they are in life with a lot of road dust to show for the journey. It’s time for a little security. Few things in life provide certainty, and aging is certainly not any different. However, one aspect of getting older can be. Owning a home that does not need to be replaced provides peace-of-mind, continuity, and the certainty that is lacking elsewhere. In fact, one of the reasons that aging in place works so well is that people do not have to leave the home they love – or at least they have a history with it and are quite familiar with it. Tomorrow, and the next day, and the day after that, they will wake up in that same home. They won’t need to consider other options but can continue enjoying and living in that home they have. Somewhere along the way, they found the home that would serve their needs long-term. It could have been years or even decades ago that they found and identified this home as the one for them. It could have been a more recent discovery. Nevertheless, they found the home that would serve their needs as both they and their home got older together. We know that there are many reasons why someone chooses a home and remains in it. Sometimes they just take a chance on that first home and it helps them figure out what they need to look for and find in their next selection. There could one or more additional homes to follow. Occasionally, they get it right the first time – sometimes by careful planning, sometimes by luck. Even when their home selection isn’t perfect, they learn to like it for what it is, and that fondness eventually turns into an affection for their home so they decide to hang onto and not replace. It has become their long-term home even if they are rather recent occupants of it. In picking that long-term home – not knowing initially how well they might like it – they often learn that it meets their needs better than they expected. They like the way it makes them feel – comfortable and safe. It suits them and their lifestyle. It seems like they have lived in it forever even though that is not the case. They soon discover that emotionally as well as financially that they can’t easily replace this home – another very strong and significant reason for remaining in the home. By having a home to return to after a day at the office, a day of volunteering, a day of recreation, or even a few days away, people are comforted in knowing that they are going to find that peace and comfort in their home. There could be other homes that could meet their needs, but this is irrelevant. They aren’t in the mood to look for or consider other dwellings. This is their long-term, permanent, forever home. Finding such a home takes some of the pressure off of life. Rather than trying to find a home to replace the one they have now and determine how many rooms it should have, its overall size, the arrangement of the rooms in the floor plan, the investment range, the neighborhood it should be in, the age of the home or whether to build something new, features that are important or insignificant, and so many other variables that factor into finding a different home to occupy. They get to use all of the time and energy that would be devoted to this pursuit – sizeable to be sure – to other activities. There are plenty of concerns to occupy us as we get older. Thinking about replacing our principal dwelling does not need to be one of them. Aging in place – even without significant changes to the home – means that we can focus on the other areas of life that require our attention. We have the one constant which is our homes to provide that safety, comfort, and continuity to our lives – us and our clients – all of us who embrace this concept.